Disclaimer: After deciding to register for the event, I exchanged emails with the Race Director and was offered a discounted entry fee. ALL opinions are my own. 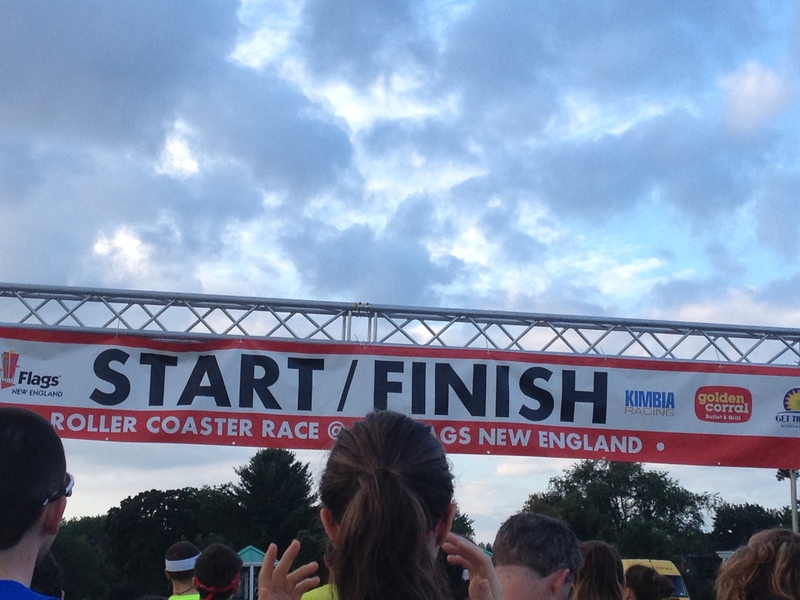 So, I’ve mentioned this race, The Roller Coaster Race, a couple of times…You know…here. And then here. When I was at the Hartford Marathon Red Dress Run for Women back in July there were flyers for this race out on one of the tables and I was ready to sign up right on the spot! Which, if you know me, you know didn’t happen cause, well, procrastination! Cause, well, I do love a good Roller Coaster. And any opportunity to get a new Proof of Time on a 10K is nice. AND…the event benefits the local YMCA (up in Agawam, Mass). All good things. 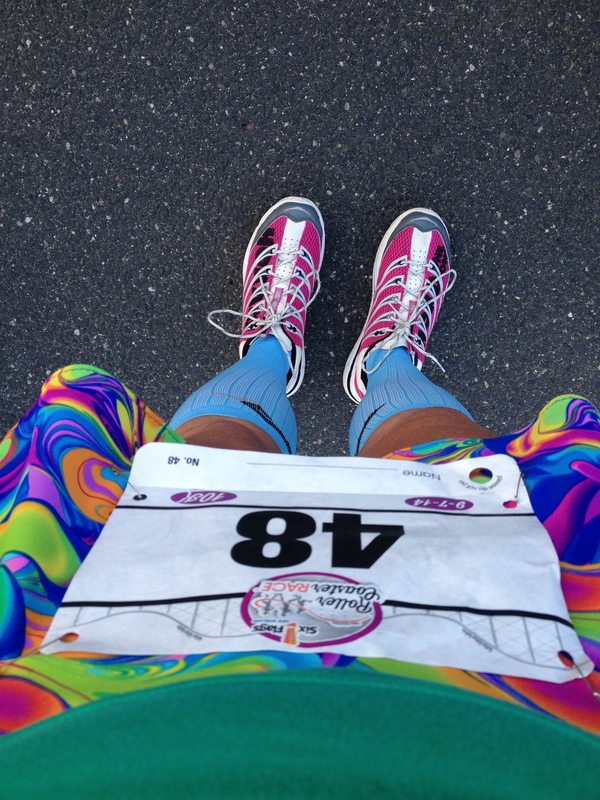 Pre-race: There wasn’t much race specific communication sent out – other than a discount code to pass on (which you know I did, the more the merrier!) and requests for volunteers (CRUCIAL!). A week or so before the race we got final instructions – for me, that’s really enough. I already spend enough time skimming through emails and not reading that I don’t need to get a lot of reminders to delete or ‘mark as read’. Packet Pickup: Pickup was to start at 10 on Saturday morning. Since I was doing both the Coaster 5K and the Feet 10K I wanted to get there as soon as I could on Saturday so I could get to Six Flags of New England at rope drop…er…opening 🙂 which was 10:30. So you know I got to packet pickup around…um…10:25 🙂 For me, this went pretty smooth. I met Wendy (who handles the Twitter account for the Race as well as loads of other duties, not the least of which was DJing the finish line!) and got my roller coaster wristband, my shirts and instructions as well as my park ticket. Then moved on to RD Adam Slate to get my bib and introduce myself. And then it was on to the RACES!! 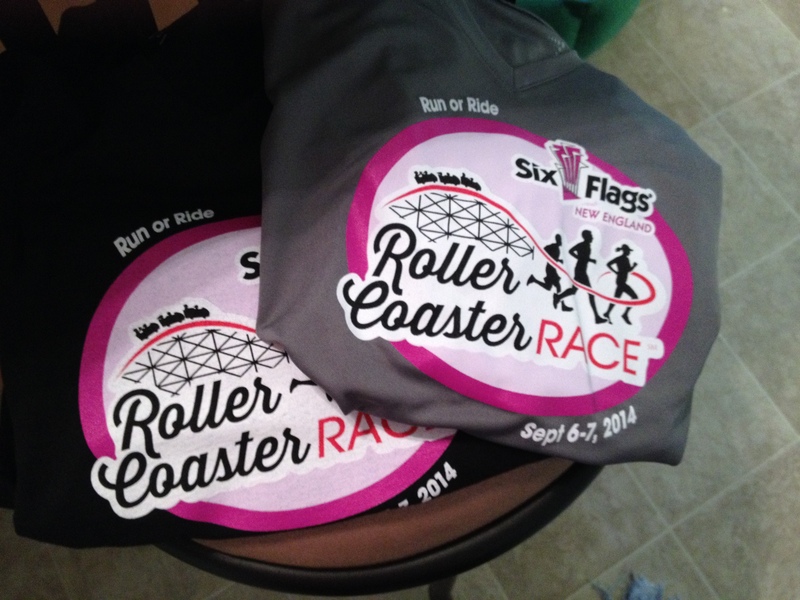 Roller Coaster 5K: Well, let’s just call it like it is here. 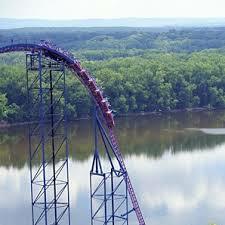 A chance to ride roller coasters all day if you choose!! Normally in a thrill ride situation such as that offered at Six Flags, I am with other people – and maybe that’s what makes me so nervous!! This time I was on my own and had a BLAST!! Though, much ginger was consumed throughout the morning and early afternoon for sure! Part of the packet we picked up was a listing of the roller coasters in the park with their distance in feet. 5K or 3.1 miles is approximately 16,405 feet. When I first registered this was a daunting number to me…but once I started riding it didn’t take long to hit that mark!! First there was Thunderbolt! An old wooden coaster that was really a great old-fashioned ride! I went on this one twice. In a row! 10, 800 feet baby!!! Again, fun! You can kind of see in the picture that the track is never too far above the ground. 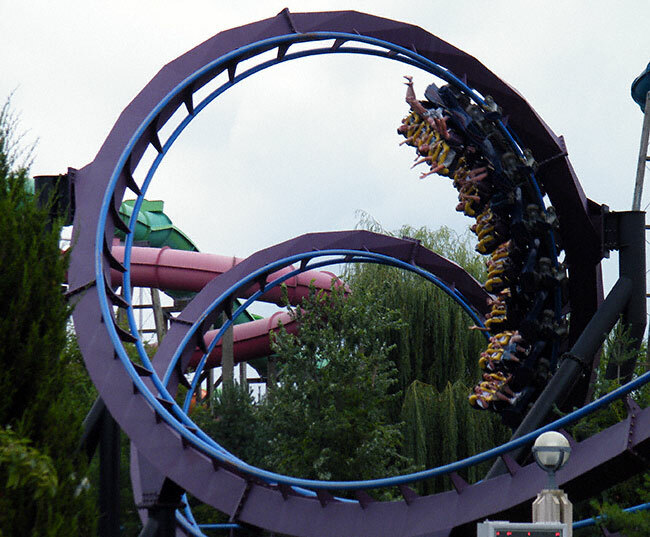 Next, in keeping with the Batman theme…I went on BATMAN: The Dark Knight — lots of upside down and sideways here!! And it was one of those coasters where your legs dangle!! Wheeee!!!! 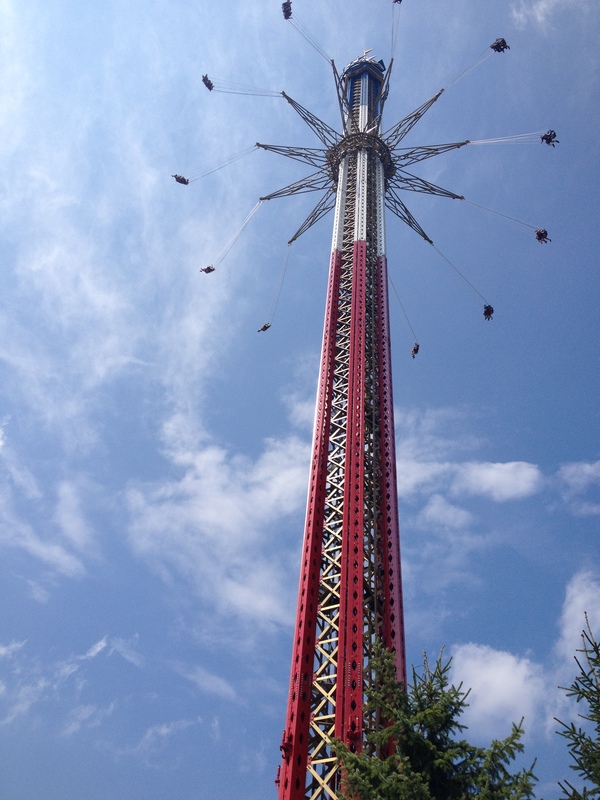 I also went on a non-coaster ride or two — the New England SkyScreamer. Billed as the tallest swing ride on the planet! It was a little unnerving but another one I wished I’d had a camera on!! But I did get a picture from the bottom!! Also, this one, Mind Eraser, wasn’t open when I went by there so it’s on my list to do next time!! I ended my day early-ish since I knew I had to get up pretty early for a 7:30 race start — but couldn’t leave without a character picture right?! but still got up to Agawam again and got parked with no problem. Or, at least no problem that could have been avoided had I read the instruction sheet I was given the day before! I figured it would be a small crowd and it was. Which makes me nervous cause…slow and (foreshadowing) a distinct possibility of being last with this small of a field! But I was READY to go!! The course was a loop through the park, then hitting some residential streets before doing a big lap of the parking lot and then another loop through the park. 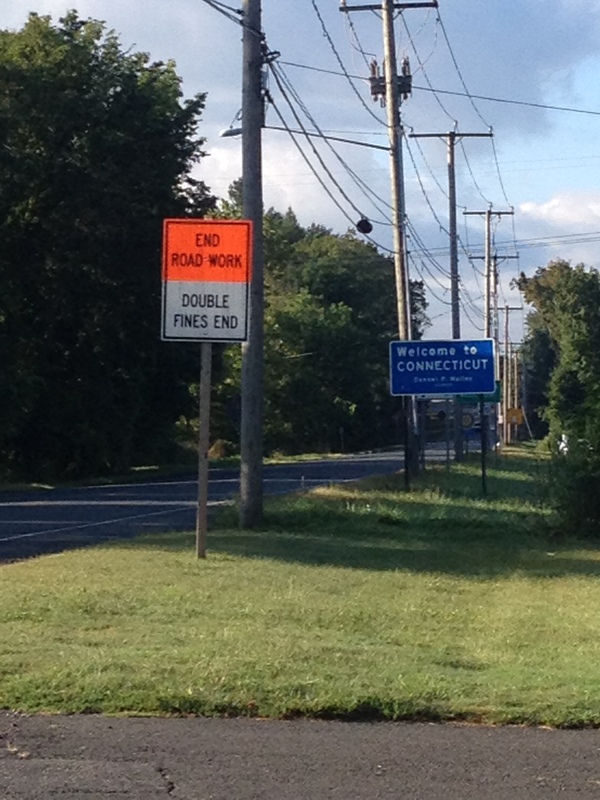 And at one point I was almost in Connecticut again. The parking lot part was kind of boring. And hot. But there was water available there and I was playing tag with the other person who didn’t want to be the last one so that was fun!! We ran past the finish line before the second loop of the park and let me tell you how tempted I was to pretend I was done!! Hahah…but I didn’t. I finished the last loop. Though at this point, I figured the other woman who had been last had done just that because I didn’t see her again. I accepted my DLF fate and pushed on. And let me tell you how worth it it was!! Now, I’m not a huge fan of a lot of public ‘fuss’ but when I came up to the finish people were yelling and cheering and it really felt good! And, it gave me what I needed for a final push over the line!! 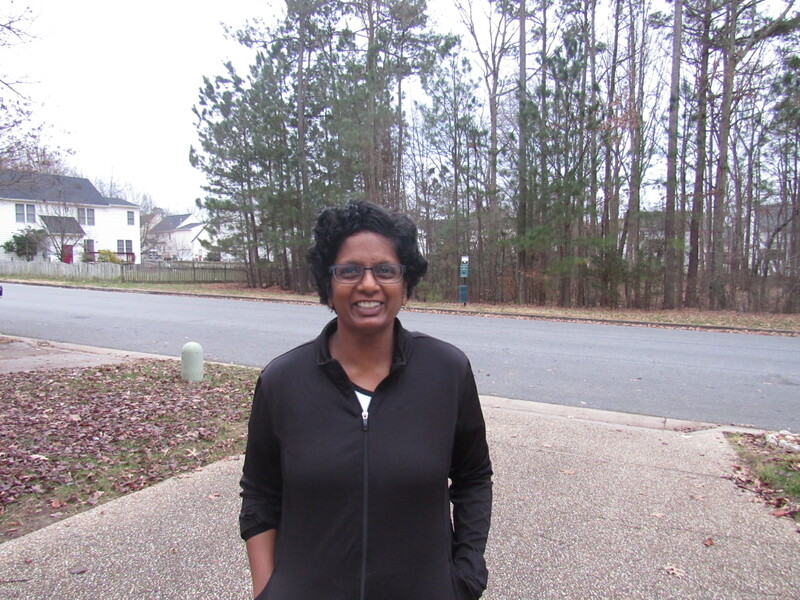 So – thanks to all the other runners and volunteers and staff peoples!!! As I walked out of the chute, the cheering started again which meant A. I wasn’t last and 2 -the other woman hadn’t dropped out!!! Yay lady I played tag with all morning!!! Yeah. 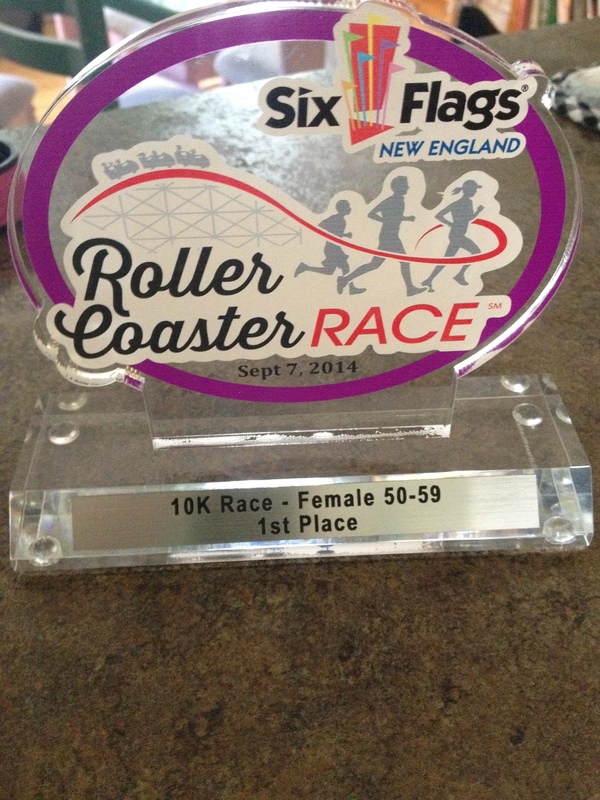 Apparently I was the oldest woman running on Sunday! I’m pretty sure that has never happened before 🙂 I mean, I *KNOW* it’s never happened before cause I’ve never gotten one of these before!! Though as my friend Willie says “Keep in mind Anne, that you weren’t the only female in your age group, you were just the only one with the strength, heart, and desire to answer the gun at that particular race” which made my afternoon! What I would change: Not a lot. I tend to have pretty basic needs when it comes to races. Not to say I wouldn’t change *anything*! Cause there’s always room for improvement – even with the biggies! I had friends running who had a couple of other issues but my experience was different – your mileage my vary!! They’ve also sent out a post-event survey that I will definitely be filling out! Course – maybe work with the park/city to get more street distance in, less parking lot! 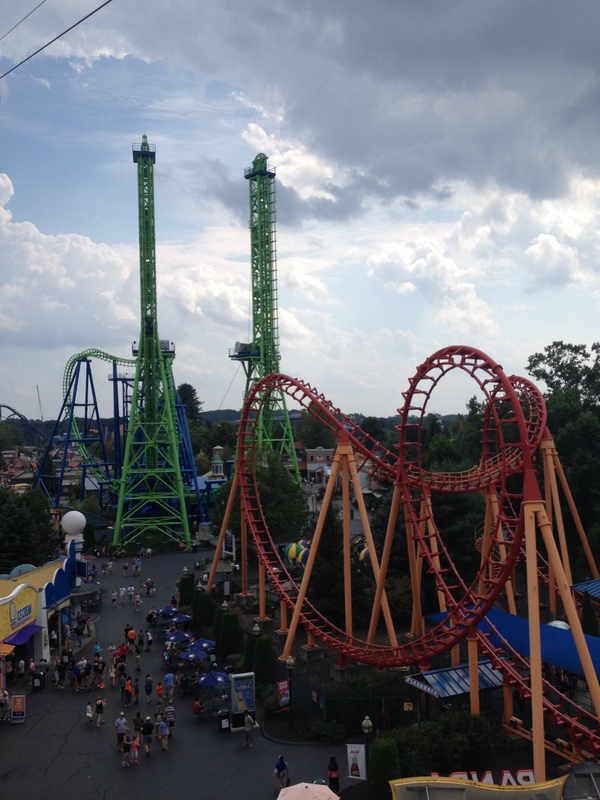 Also since most theme parks have mascots (in the case of Six Flags they have Loony Tunes – Sylvester, Tweety, Bugs!!) get them out on the course, especially in the parks!! 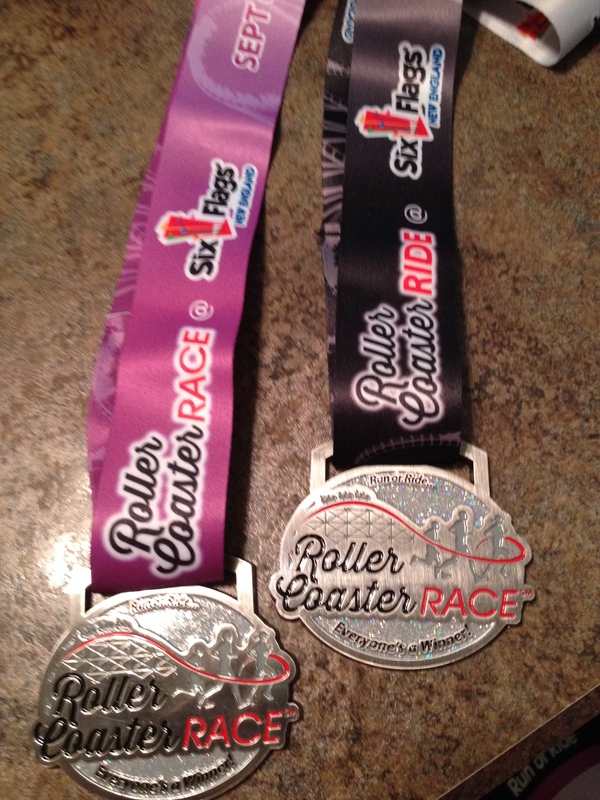 Medals – I love that the ribbons for the medals are different but it might be nice if the medals also differentiated between “ride” and “race”. Other Extras – Initially there was a dinner on Saturday evening planned but not enough folks signed up for it. Maybe setting it up as a post-race breakfast or lunch. I don’t know on this one! I did enjoy the post-race chocolate chip cookies and bananas! Also, more potties. We had access to the park potties while in the park and before/after the race – not sure if we could have used the ones in employee rest areas. And this would really just be a bonus because if you have a normal size bladder you can probably make the 2 or so miles before you need a potty again!! So, overall, for a first year event up here, I think things went well with a few kind of expected glitches. 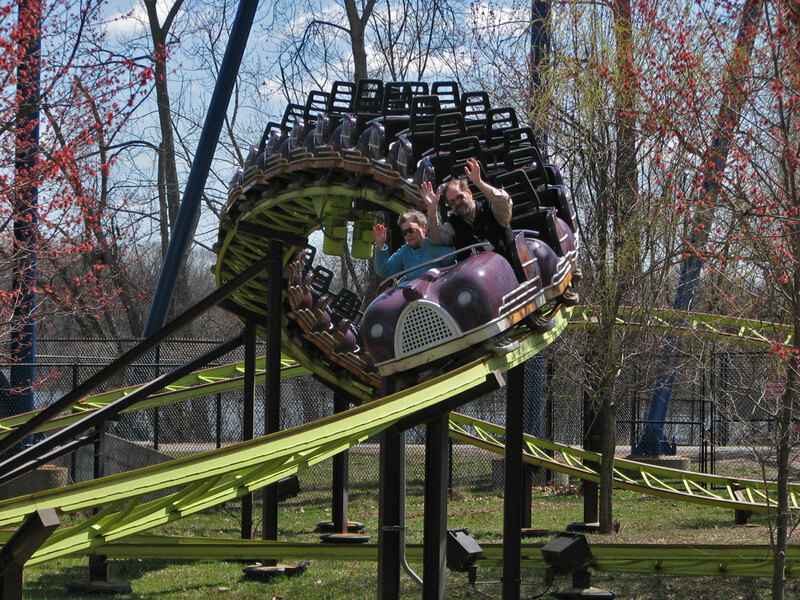 I would love to see a series like this expand – cause as I may have mentioned, I love roller coasters 🙂 There are already events in St. Louis, MO and Branson, MO and they look to be adding one up in Lake George area, NY. I would hope though, that they don’t expand too quickly since I think that’s where a lot of ‘specialty’ events get into trouble. We’re now at the Main Event!! Well, yeah…the Main Event! Bright and early Saturday morning, it was time to head out to the start of this fantastic event! 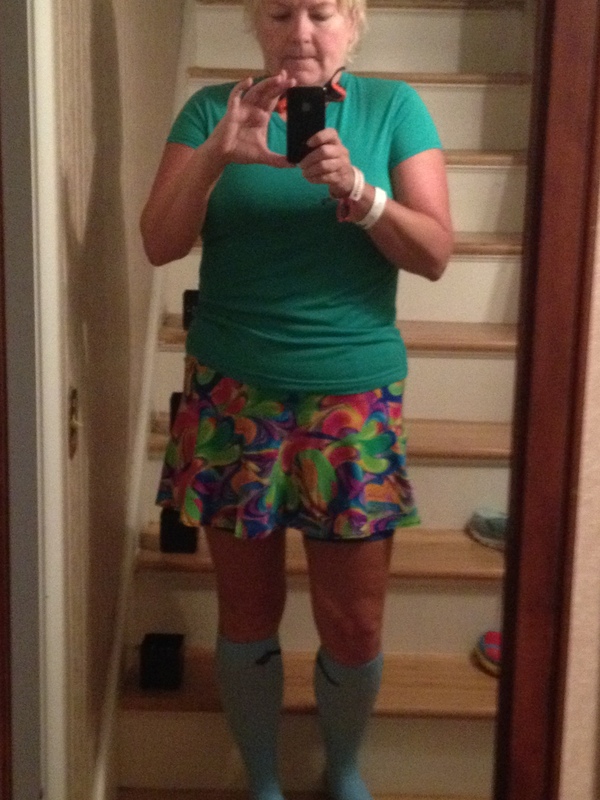 There was no costume involved, just a Sparkle Athletic skirt and a white tank. Oh, and Mickey Mouse ears of course! The hike into the corrals was kind of a mess due to the fact that the Family 5K had the same starting line and had only started 15 minutes earlier and those folks were still clearing the corrals! So…”be in the corral by 5:45” turned into “just get in your corral NOW”!!! Good thing that I stopped for a bite to eat on my way to the start! Eventually the Start ‘gun’ went off and the corrals started slowing heading to the starting line. 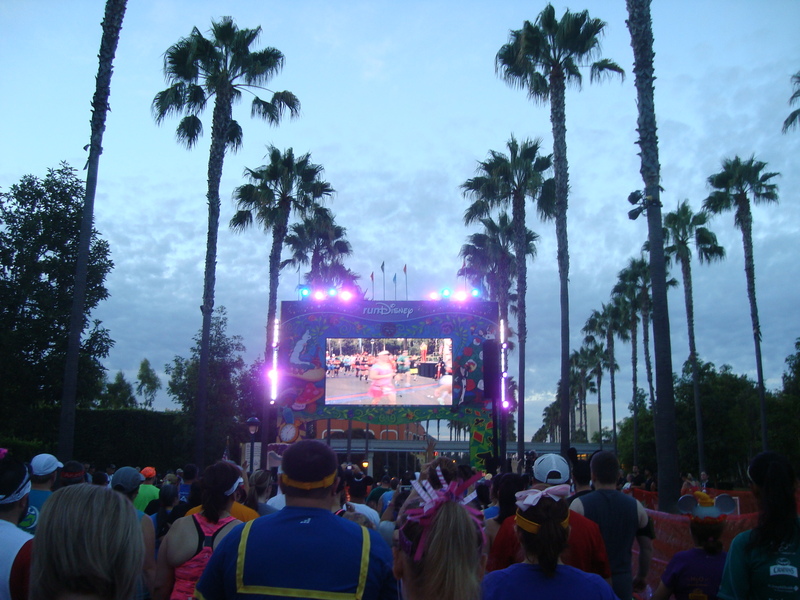 The course started out on the streets of Anaheim before heading into Disney’s California Adventure – entering through CarsLand (my favorite!!) 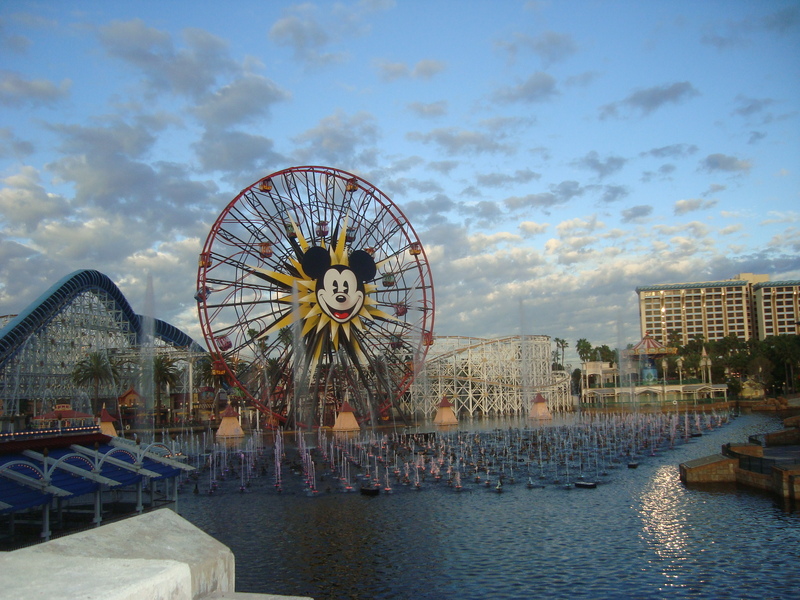 then headed through Paradise Pier and into Grizzly Peaks (home of one of my favorite rides – Grizzly River Rapids) out through Condor Flats, Buena Vista Street through Hollywoodland and going back out into the real world for a bit. We were now a bit more than halfway through. And it was HOT. Hot and humid. 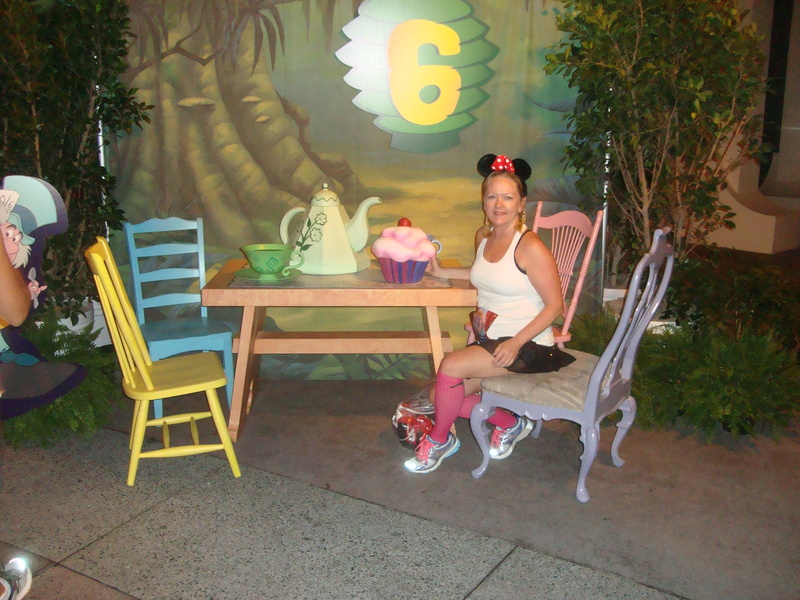 There had been a water stop around mile one, but nothing since – we had been told “the water fountains in the parks are available”…um…anyway! There was a water stop coming up though!! Cutting back into the concourse between the parks we headed into the Magic Kingdom. Walt’s first park! As always it was very exciting to run up Main Street USA – huge crowds were waiting there too! A loop took us through Tomorrowland and back towards Mickey’s Toon Town. A detour backstage took us through Disneyland’s Custodial services area where there are always lots of people out to cheer us on – they hang signs welcoming us to their area!! Anyway, with less than a mile to go we head through Frontierland and then back out towards the Disneyland Hotel and the finish line! And, I don’t always keep exact track, but I think this might have been my best 10K time in a very long time!! In spite of the heat I had a great run! I topped it off by heading DIRECTLY to Grizzly River Rapids for a few turns through to cool off!! Learned you don’t get as wet when there are fewer people in the boats! Met a little boy in line at Soarin’ too, who was getting ready to run the Kids’ races and he was very excited that he was going to get a medal “like [mine]”!! 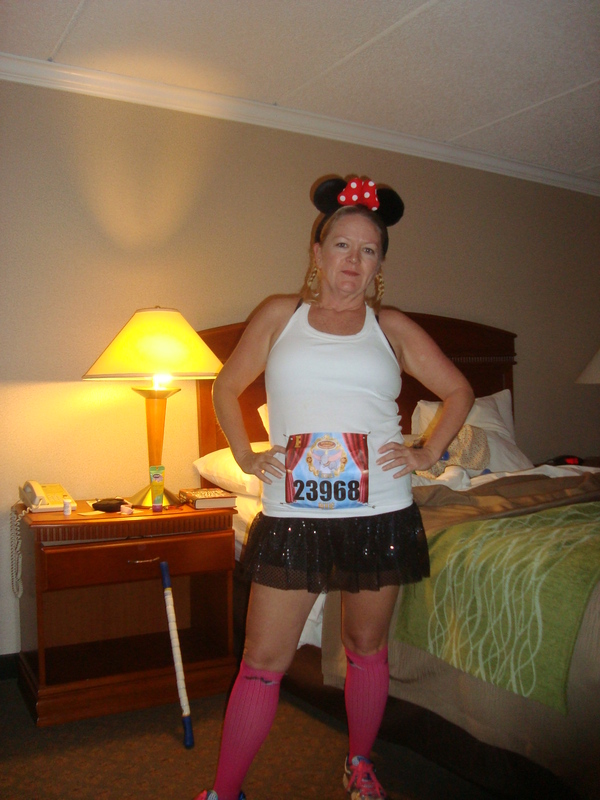 Really, coming up next is the Disneyland Half Marathon Recap you’ve been waiting for! !